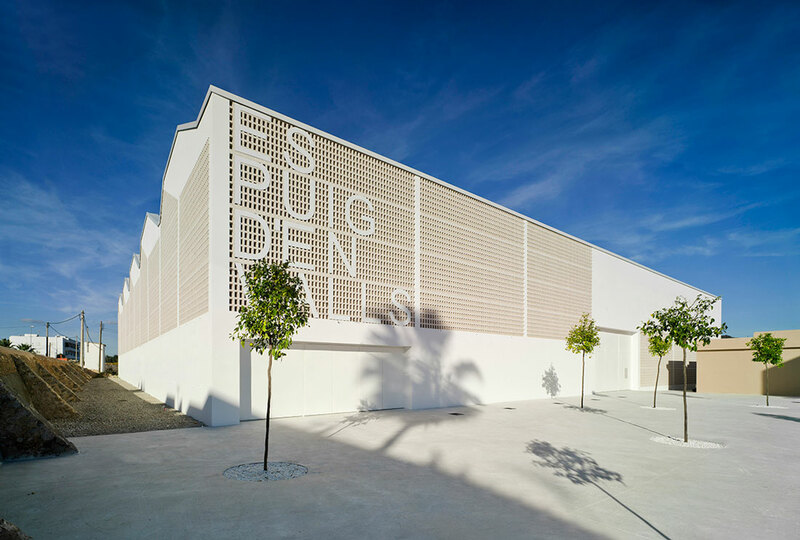 The new MCEA’s Sports Center in Ibiza is hit by sunrays from dawn to dusk, due to the surroundings’ all-direction flatness, making it a perforated, warmly lit box where to practice indoor sports. 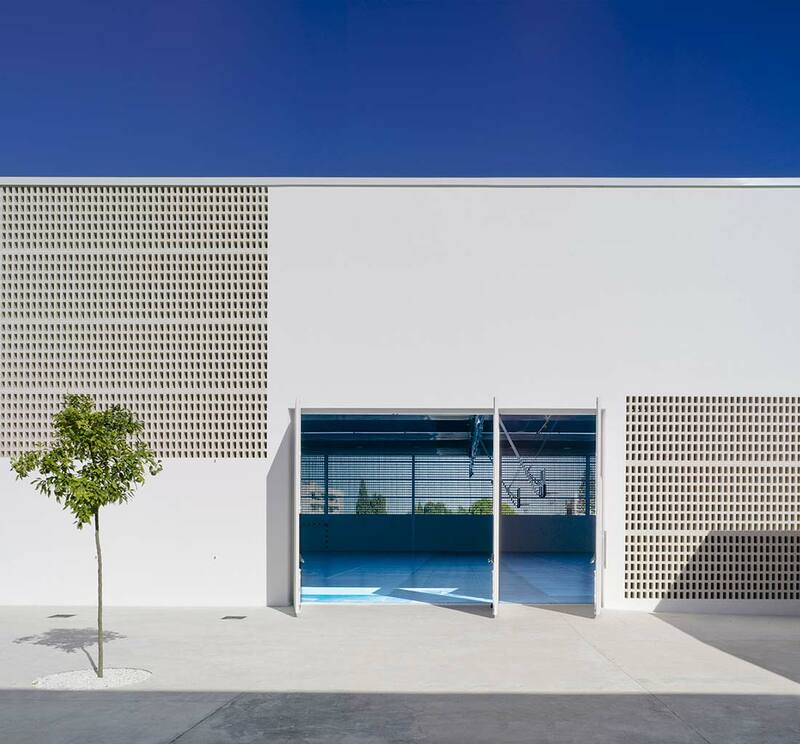 The project for the EsPuig d’en Valls Sports Centre was conceived in two distinct phases: the first consisted of covering the two existing outdoor courts; the second was the design and execution of the perimeter enclosure. 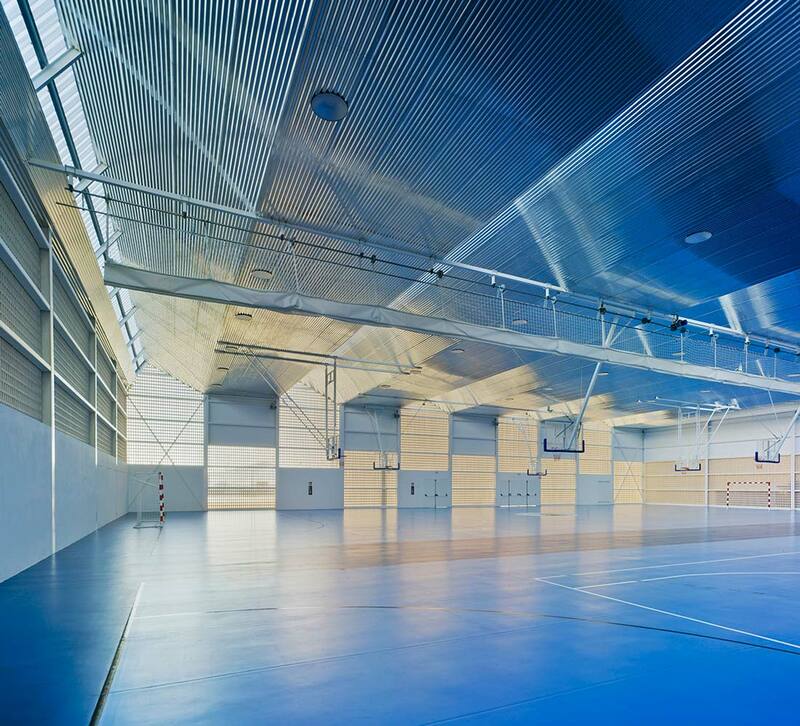 When, during the execution of the first phase, we received the brief for the design of the enclosure, our main aim was to achieve an element of fusion between the interior and its broader setting, so as not to lose the essence of this outdoor space for the practice of sport, which had been used by teams from EsPuig d’en Valls for years. It was during the implementation of the first phase that we discovered the intensity of the shades of colour that the sun projected onto the building from dawn (since there is only open land to the east) until dusk. 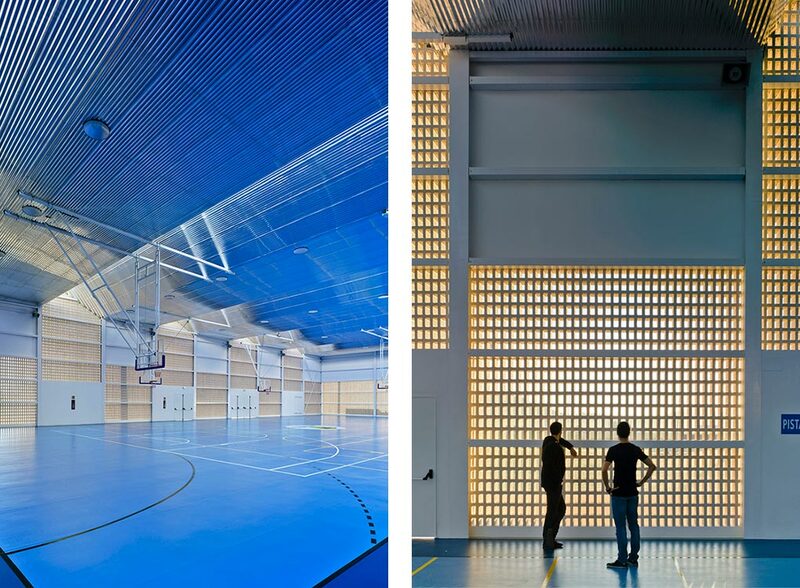 And so, we the introduced these fleeting tones of natural light into the newly defined space as a fundamental element in the project, whichprovides continuity over time to the sporting activitiesheld the existing space, whichused to be completely open. To define this relationship of permanent change between the interior and exterior, we worked with the six surfaces of the building: the ground, which introduces a blue colour, very present in the Balearic landscape; the roof, of corrugated aluminium, with a reflective capacity that provides a fusion of all elements in the development; and the four walls, materialized through the combination of blind panel walls and lattice walls of 24 cm exposed white brick with sufficient permeability to allow for the compositional overlapping of two opposing façades and the introduction of the colours from the environment as part of their composition. On the western façade, the lattice panels are aligned according to the horizontal line marked by the stream that runs alongside the building; the eastern façade breaks this linearity to allow for a reflection of the broken lines of the mountains beyond; the southern façade, which provides the main access, incorporates a lattice fabric in a continuous state of changing colours, and as such constitutes the most representative element of the whole plot. In addition well as providing notable nuances of colour depending on the sun’s position(ranging from ochre at certain hours of the day to pure whites), the white open brick selected for the latticeallows for the inclusion of a 24cm thick wall, which greatly inhibits the entry of water into the enclosure, even in adverse weather conditions. By seeking a close relationship between interior and exterior, the building is able to take full advantage of the prevailing climatic conditions, in order to attain a system of ventilation and natural lighting, which leads to a level of energy consumption close to zero.